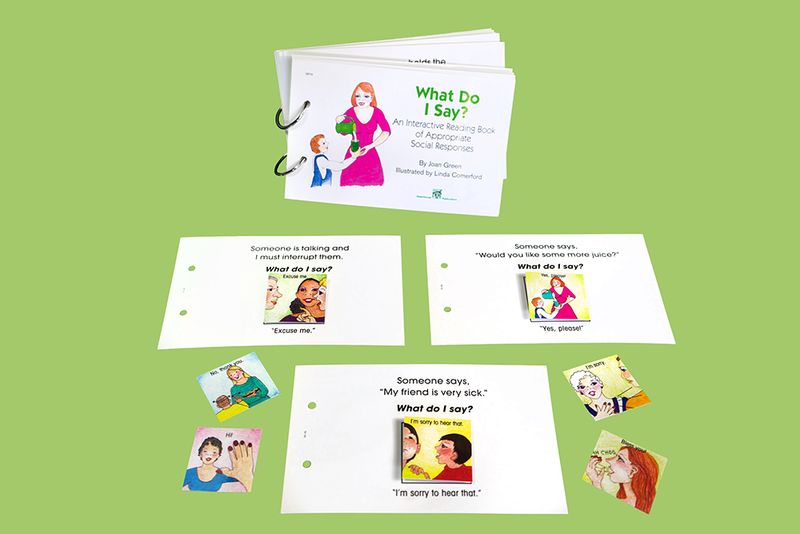 Home > Interactive Reading Books > Interactive Reading Books - Set 4 > What Do I Say? Appropriate responses to common, everyday social conversation and situations is the main focus of this book. (Ex.) Someone says, "You look nice today." What do I say? (answer) "Thank you!" 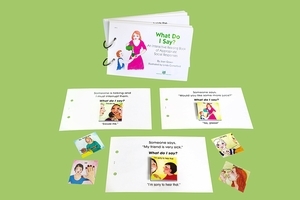 By attaching a picture representation of an appropriate response to different questions or situations, students begin to learn what might be an appropriate response in those situations. Are ther other equally appropriate responses?